For those that are unfamiliar, the Alaska Airlines World Elite MasterCard is one of, if not the most lucrative credit cards on offer in Canada. 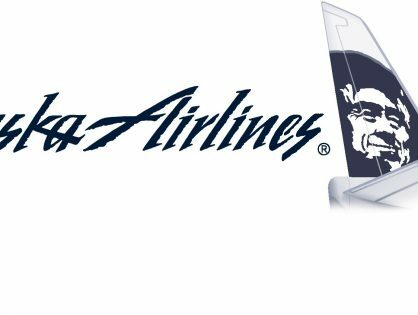 After a $1,000 minimum spend, you are given 25,000 Alaska Miles as a sign-up bonus, which can be used to book Alaska Airlines flights or flights on Alaska Partner Airlines, which is amazing value. The annual fee is only $75 but if you sign up through Great Canadian Rebates, you are given $60 cash back so the net cost of 25,000 Alaska Miles is only $15!!! If you are unfamiliar with how cashback sites work, I would highly encourage you to read my post about it here. 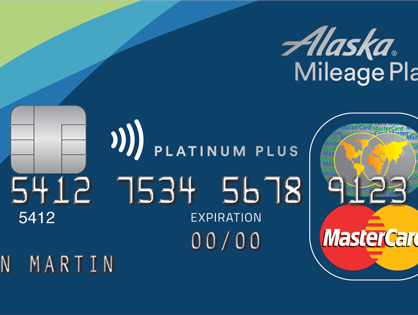 I have deemed the Alaska Airlines World Elite MasterCard the most churnable card in Canada because you can get the card, meet the minimum spend, get the miles, cancel and reapply up to 4 times a year! That means 100,000 Alaska Miles for $60?!?!?!? Amazing! I have received at least one report from a reader that suggested that GCR did not pay out on multiple sign-ups on the MBNA Alaska World Elite MasterCard so I did an experiment. I re-applied for the card under my account to see if I would be paid out again. Here’s the last time I did it. And here’s the most recent churn. As you can see, both paid out just fine so in my experience, there’s no issue with multiple payouts from GCR on the Alaska Airlines MBNA World Elite Mastercard. While I waited a year to churn the card, you can certainly do it more often. I would recommend waiting 90 days after cancellation to reapply to ensure no issues with getting the miles and cashback rebate. I absolutely adore the MBNA Alaska Airlines card because it provides an incredible sign-up bonus with one of the lowest annual fees at $75. If you sign-up through Great Canadian Rebates, you can further reduce that annual fee by $60, making your total outlay a mere $15. The miles you collect are also some of the most powerful miles you can earn, especially if you live in Western Canada but even worth stockpiling if you live in other parts of the country due to the proximity of former Virgin America hubs that are close to Canadian border cities. If you were worried about getting multiple payouts, you don’t need to be. Churn away! The only time I didn’t get paid by GCR was when my application didn’t automatically approve. This was due to an address change and when it was eventually approved by MBNA I had to submit a missing rebate inquiry with GCR and they denied it saying I had already received it in the past. That was last year. Last month I applied and got instantly approved and my rebate has posted on my GCR account to be paid out. So I gather from my experience if they have to manually add the rebate they can see you’ve received it before and will deny it. Wondering the same thing as well. The only time when I did not get GCR payout is when the application was not approved automatically and the previous card was not closed properly yet (had outstanding credit). Before TD entered the picture, having multiples of MBNA Alaska was not an issue. But since then, having a full month in between cancel/re-apply has become preferred approach, both because of MBNA not messing up applications and because of GCR not mixing which rebate for which card. If there is even slight confusion around approval, and GCR has to manually follow up with MBNA to figure out if you were approved, MBNA will deny GCR their share due to already being paid for the same customer. I am trying to churn this card, do you only need to wait 1 month after cancelling? I was told 3. This card is currently not available on GCR. Do you know what happened? The points you earn are transferred to your Alaska Airlines account the Sunday after your account bills every month. Once they are in that account, they are yours to keep. Hope that helps. Do you transfer the points before canceling the credit card or the points don’t expire when you cancel the card? Points transfer automatically every month when your account bills. hi, I have my third MBNA Alaska Card. I in 2 in 2016/17, and just did again. You say apply again after 90 days, but , after receiving, how soon, or when does one cancel ?? Also, what “reason” do others say to the rep to cancel. I susally just say dont need at moment. any other great quick ideas ?? So with the end of the AMEX SPG personal and business card is there another credit card where I can accumulate or transfer points to the Alaskan Miles program. 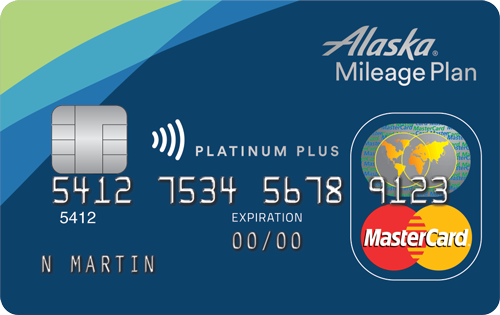 Churning the Alaska Airlines World Elite MasterCard at 25k points is nice, but does take some time to get up there. Another question I have is that I live in Manitoba and I know Alaska Airlines does not fly anywhere near me but the points are transferable to other carriers. I am on the fence on whether I want to try collecting Alaska points and then using them on a partner airline to travel to Japan, Bali, Taiwan and/or Thailand. That will probably be my next major trip in the next year or so. Hi Alex, without the Amex SPG bonus, the next best option to collect more Alaska miles seems to be American Express Membership Reward points by converting them to SPG/Marriott and then to Alaska. Although you need to factor in the cost to position yourself out of Manitoba to begin any Alaska award ticket, an Alaska award ticket to Asia may still be worthwhile as they have low miles requirements on partners Cathay and Japan Airlines (especially for business/first class). Do some number crunching for a ticket booked with Alaska vs Aeroplan where you have access to AC flights out of Winnipeg. Dont forget to be creative with free stopovers too! Would you know if it is possible to combine BA’s Avios miles and Alaska’s MIleage points to book a flight on BA ? Thank you! Unfortunately you cannot combine BA Avios with Alaska points as they are two separate programs. Wondering when I should cancel and when i should apply again. Applied April 24, card not yet received, can easily meet minimum spend in the first month. The very last day that I can apply for the next card is September 24, as I will be out of the country afterwards and they will not process the application if one is abroad. (It is ok if they process the application the day I leave, and approve afterwards and send the card afterwards. I can get the numbers over the phone and activate and meet the minimum spend from Timbuktu.). So Chao, your advice please, given an application on April 24 and a planned next application on september 24, a mere five months, when should I cancel the card? My advice is to extend that timeline. Apply and get approved while abroad with a VPN and have someone forward your mail to you. Hi, I just got the MBNA Alaska card, but haven’t open an MileagePlan account (waiting for a bonus offer for new members…). Do you know if my 25000 miles would be in ‘danger’ in my MBNA account since they cannot be transfered to MileagePlan account yet? If you didn’t provide a MileagePlan account number, MBNA may have passed your details to Alaska to create an account for you. The new account number may be on your first statement. Double check with MBNA. But in anything, your 25,000 would NOT be in danger! Hi, does MBNA prorate your annual fee if you cancel before the one-year mark? Thanks. I do not believe that this is the case. If you cancel your card, you will forfeit your annual fee.